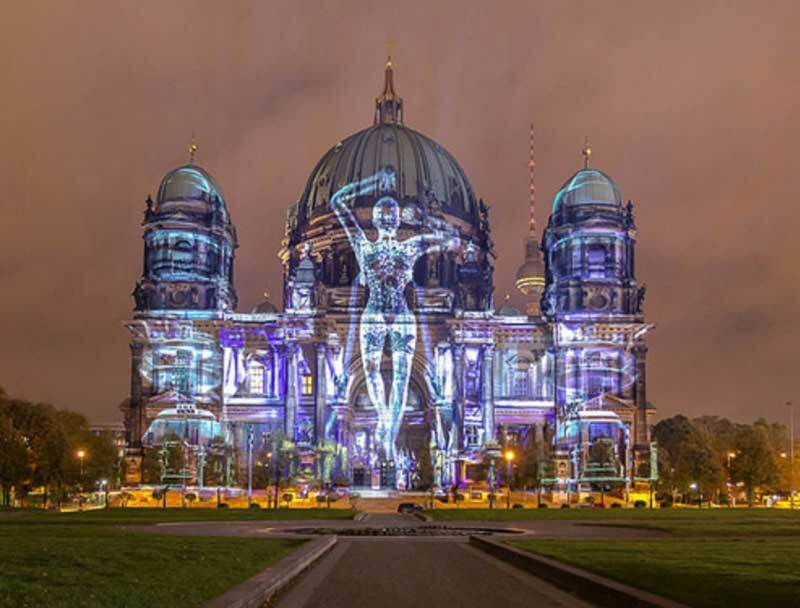 World leading projection specialist Digital Projection recently wowed stakeholders and audiences alike at the 13th edition of the Berlin Festival of Lights, where a number of its laser projectors were installed to enable video-mapping displays at key sites in the city. With a renewed focus on digital at this year’s event, it was the biggest and most successful edition to date with in excess of two million visitors. Spread throughout one of Europe’s most popular cities bringing its sites of major interest to life in spectacular style, the festival is a leading light in the video-mapping world, raising the bar with its impressive showcase. 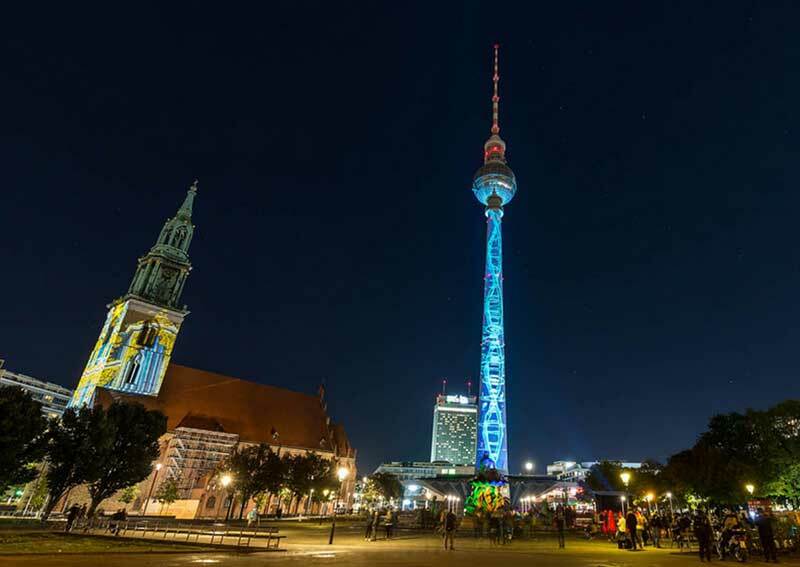 Every October, the festival transforms Berlin into a city full of light art with displays by national and international artists turning famous landmarks, monuments, buildings and places into a huge stage. 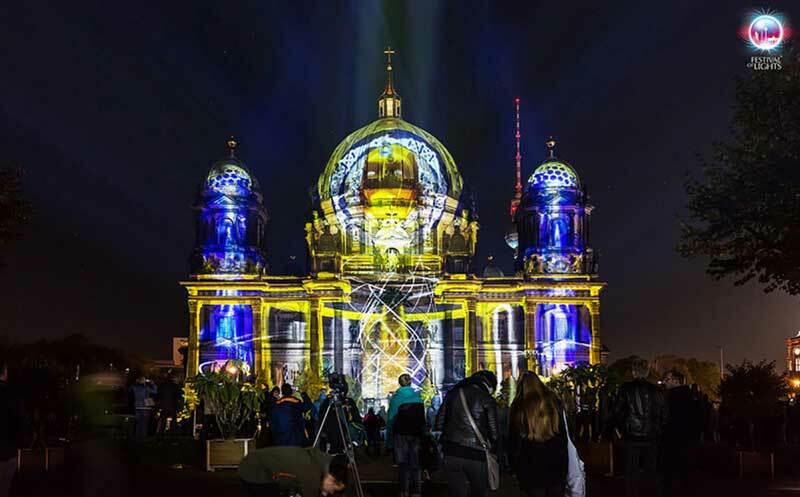 Working alongside Dutch integrator Pronorm Urban Experiences – the six-year incumbent preferred supplier for the technical installation at the Berlin Festival of Lights – Digital Projection supplied products which were central to the video-mapping installations at three locations: the Berliner Dome, the Staatsoper Bebelplatz and the Nicolai Kirche. 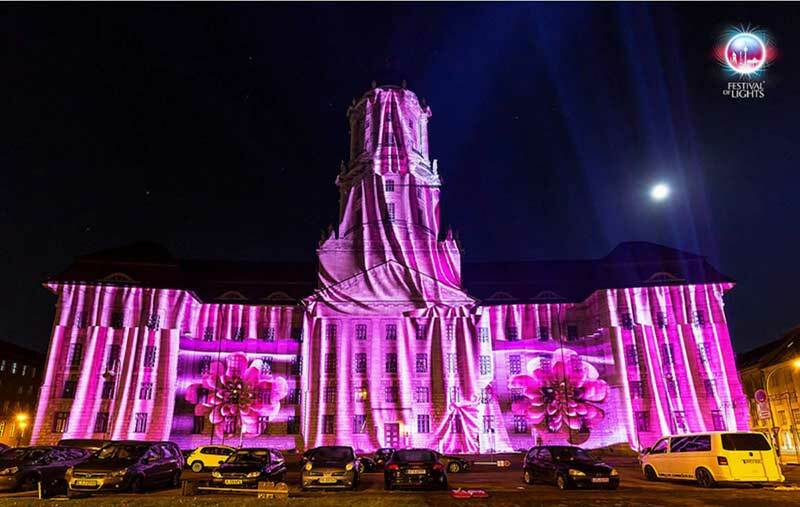 This year’s festival was the first time that projection mapping had been used on the iconic Berliner Dome and Staatsoper Bebelplatz buildings, and audiences were blown away by what they saw. 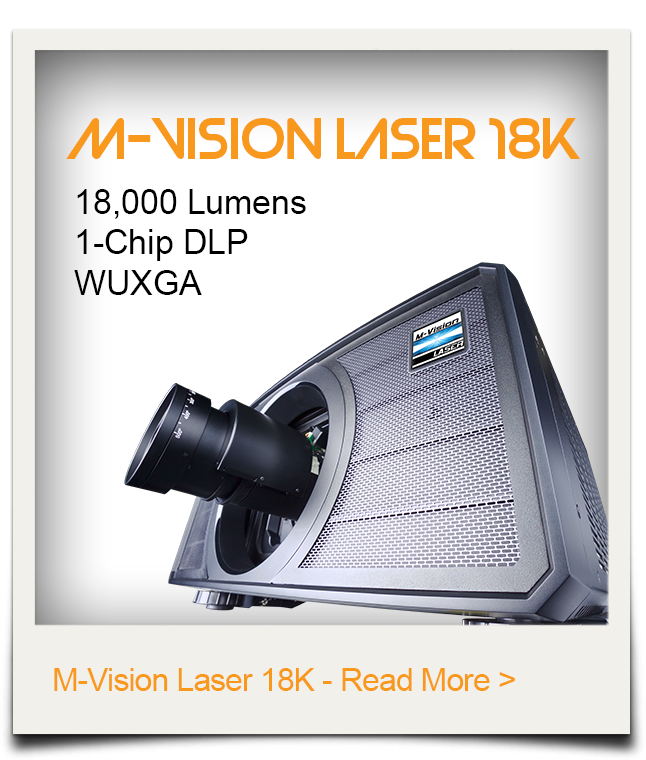 The Berliner Dome was rigged with 14 Digital Projection M-Vision Laser 18K projectors fitted with 4.0-7.0 lenses and using an HDBaseT interface. The projectors were connected to two Vioso Media servers with eight outputs each. 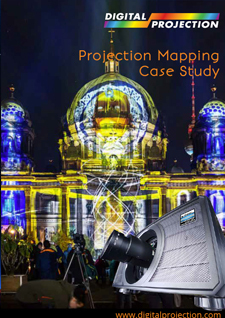 At the Staatsoper Bebelplatz, 10 Digital Projection Titan Super Quad 20,000 lumen projectors were installed with various 1.9-3.5 lenses, connected to two further Vioso Media servers (eight outputs each). Finally at Nicolai Kirche, four Digital Projection M-Vision Laser 18K projectors in portrait mode with 1.8-2.4 lenses, connected to a four outputs Vioso Media server, were installed. Birgit Zander, the Berlin Festival of Lights’ CEO and creative director, comments: “Since we founded the festival in 2005 it has simply gone from strength to strength with each year bigger than the one before. We have used projection mapping as the backdrop to the opening of the event for many years; it is also the opening of the World Championship of Projection Mapping, so we are really setting the gold standard – and the quality of the equipment we use is paramount given we are on a global stage.